After disembarking the rescued migrants, the ship Sea-Watch 3 is still blocked in the port of Catania for “technical verifications”. The ship Diciotti has the Italian government divided over the role played by interior minister Salvini in delaying its docking. A new report on Libya sheds more light on the ambiguities of its Coast Guard and criticises the agreement with Italy. The wait is over on board the Sea-Watch 3. On Thursday morning, the ship docked in the port of Catania, escorted by military vessels, and after 13 days at sea, 47 migrants were finally brought to shore: the 15 minors on board, 8 of whom are unaccompanied, will be transferred to a facility in Catania, while the remaining 32 migrants will be transferred to the Messina hotspot, then redistributed across 9 EU countries. Once in Catania, the ship was blocked in the port to conduct “technical verifications”. While the Sea-Watch was still out at sea, ministers Salvini and Toninelli, along with M5S leader Di Maio, had cast a shadow on the NGO rescue ship, claiming there was “substantial evidence” that the NGO had disobeyed clear orders and endangered lives. Moreover, according to Toninelli, the fact that the ship was registered as a pleasure yacht was another issue. This was later disproved by Andrea Palladino writing in La Stampa, who fact checked the minister’s claims. Writing in La Repubblica, Chiara Righetti explains why the Sea-Watch 3 had to set course for Italy. And this guide written by the Italian Coalition for Civil Liberties and Rights explains why all ships are required by international law to assist anyone found at sea in life-threatening conditions. Finally, the Catania prosecutor himself addressed the accusation, stating that the investigations had found the Sea-Watch crew not guilty of any wrongdoing. Prosecutor Zuccaro penned an extensive note, clearing the NGO of all charges. Fico was referring to the events of August 2018, when Salvini denied permission to dock in Catania for 177 migrants on board the Italian Coast Guard ship the Diciotti. The migrants were eventually allowed to disembark five days later on August 25, with a few EU countries and Albania pledging to take them in. Angelo Romano and Andrea Zitelli wrote in Valigia blu about the events leading to the charges against Salvini , while Nicola Pedrazzi wrote in Osservatorio Balcani Caucaso how Albania did not keep its promise: to this day, the country has not take in any of the refugees from the Diciotti. 3. What are the consequences of Italy’s security decree? These are the opening line of an in-depth analysis on published on the ethical finance website valori.it. Writing in L’Espresso, Fabrizio Gatti analyses “phase two of the Interior minister operation” after the criminalisation of rescue NGOs, which will target those who help migrants on land. However, solidarity initiatives abound. The reception centres in the 10 dioceses of Lombardy where 4,500 migrants have already been hosted have announced that they will keep taking people in: “the Church will support our guests“. 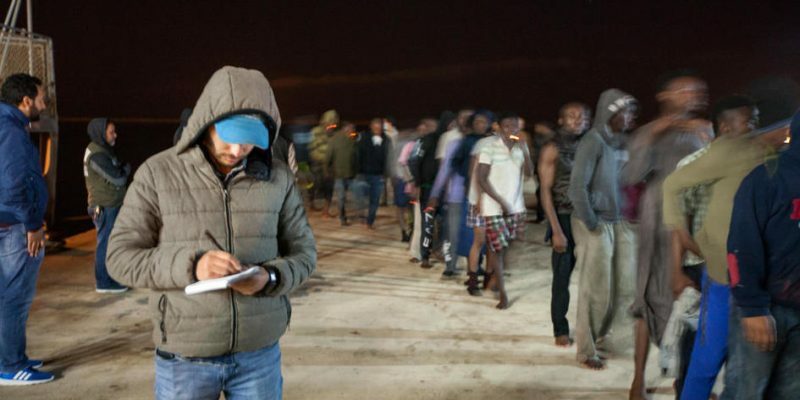 Palermo mayor Orlando has registered 4 migrants as full residents, defying a ban in the decree. The Italian Coalition for Civil Liberties and Rights has a guide on registration for residency on its website. “Italy, and consequently the EU, have disregarded international law and failed to protect the human rights of migrants”, reads a new report “Accordo Italia-Libia: scacco ai diritti umani in 4 mosse”, published by Oxfam Italia with Borderline Sicilia. 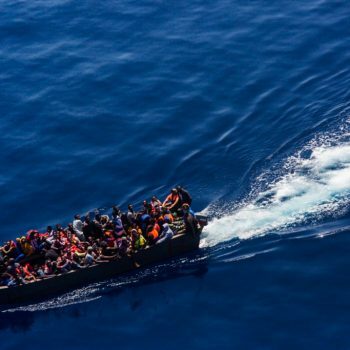 Writing in Il Manifesto, Adriana Pollice analysed the four-pronged attack on human rights: the agreement with Libya and Italy, the increased relevance of the Libyan Coast Guard, the shift from Triton to Themis, the criminalisation of rescue NGOs. The results have been the continued detention of thousands in Libyan camps and countless deaths at sea: as Agi reported, 5,300 people have drowned since the signing of the agreement, 4,000 of whom on the Central Mediterranean route alone. They allow humanitarian refugees to enter our country safely and legally, contributing to integration and lowering the number of vulnerable people attempting to cross on rubber boats. On the night of January 30 humanitarian corridors from the Horn of Africa brought to ltaly 88 refugees from Eritrea and South Sudan, concluding phase one of the project. They torture and extort migrants in detention centres, only to abandon them at sea later and intercept them again, this time posing as Coast Guard officers. All this according to a report by Francesco Viviano published in L’Espresso, originating from an investigation by the Catania Prosecutor into the German NGO Jugend Rettet. The investigation found “deep levels of collusion between individual Libyan Coast Guard units and human traffickers”. As Annalisa Camilli wrote in Internazionale, the UNHCR had written in the report “Viaggi Disperati” that sending migrants back means accepting that they will end up in the hands of their jailers. Here at Open Migration, we wrote repeatedly about this issue: Nancy Porsia reported on the illicit business of “Al Bija”, the head of the Zawiya Coast Guard. Cecilia Anesi, Lorenzo Bagnoli and Giulio Rubino explained how Italy hands migrants over to the same people who are being prosecuted for human trafficking. He wrote his entire novel on his mobile phone and sent it in bits and pieces over years to his translator via Whatsapp. Beruz Boochani, a Kurdish-Iranian refugee and author of “No Friend But the Mountains: Writing from Manus Prison”, ended up winning Australia’s most prestigious literary award. However, this story does not have a happy ending: Boochani did not attend the ceremony, having been kept for almost six years on Manus Island in Papua New Guinea, for illegally attempting to enter Australia from Indonesia. Hundreds of other refugees have met the same fate because of Australian migration policies. “I certainly did not write this book just to win an award. My main aim has always been for the people in Australia and around the world to understand deeply how this system has tortured innocent people on Manus and Nauru in a systematic way for almost six years. I hope this award will bring more attention to our situation, and create change, and end this barbaric policy,” Boochani said. We had told you about the Tamrazyan family, the Armenians who had taken refuge in the Dutch church of Bethel to escape deportation after being denied asylum despite living in the Netherlands for 9 years. A Dutch law originating in the Middle Ages says that police may note enter a church during a service. After 96 days of continuous sermons, they are now free to go. Tamrazyan family had been reassured that they would be included among those allowed to stay in the country. Scores of people are feared to have drowned off the coast of Djibouti after two migrant boats capsized. the alarm was raised over the latest incident after two survivors were recovered. The IOM has said that 52 people had been confirmed dead, with the local Coast Guard warning that the death toll is likely to rise. Yhousands of people from the Horn of Africa region set off every year from Djibouti to cross the Bab al-Mandab Strait for the Arabian Peninsula, hopeful of finding work in rich Gulf countries. A group of teachers from the Amaldi high school in Tor Bella Monaca has organised a discussion on migrants, deaths at sea and evacuations. The “reverse strike” started on Wednesday in the suburbs of Rome and was promptly extended to other schools in the city and the region of Lazio.